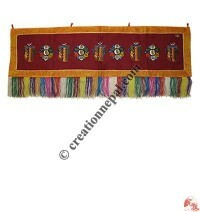 We offer Tibetan Buddhist sacred symbols on brocades embroidered wall hanging with rich embroidery and woven designs. 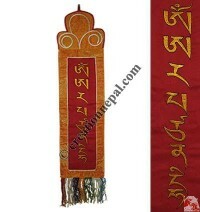 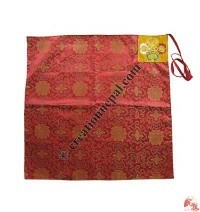 Besides Tibetan Buddhist sacred embroidered symbols Creation Nepal offers letter cases, Shambo, Chhukur and other the monastery decoration items. 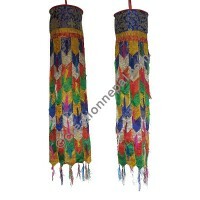 As wholesale exporters of handmade Nepalese and Tibetan Buddhist ritual products Creation Nepal has a large collection of Tibetan sacred symbols embroidered wall hangings including Tibetan offering scarf khada, Chopen Sambo door decorative, different styles shambo, Tibetan buddhist ritual items like Bhumpa feather decorative, Book wrapper Kuchin, Chhukur sambo pair, Kofan and different types of Buddhist wall hanging tapestry. 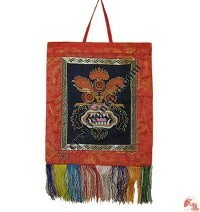 Beautiful colorful embroidery of auspicious Buddhist symbols on silky polyester fabrics can easily be seen in the monasteries and at the homes of Buddhist community in Nepal and Tibet. 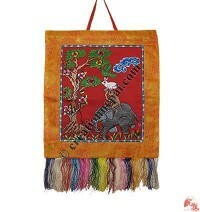 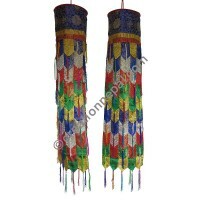 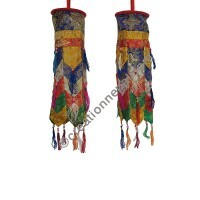 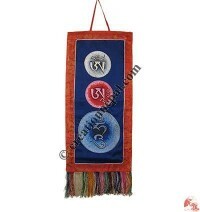 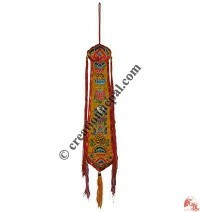 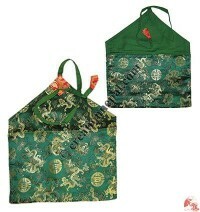 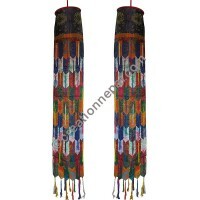 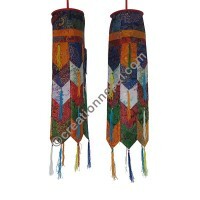 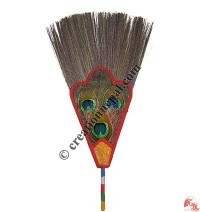 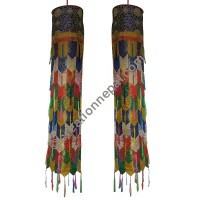 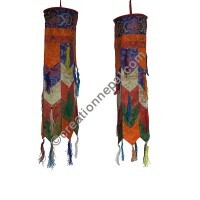 These Tibetan silk wall hangings can be used as the wall decor and they are equally important from religious point view.